Watching TV in the comfy black chair? YEAH! But sharing it with Perfect Peter? 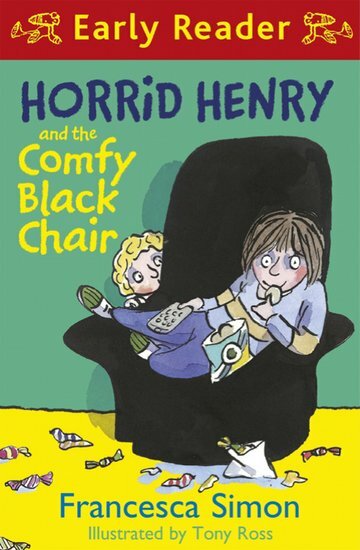 Not likely… Laugh your head off at an epic sibling battle in Henry’s cheeky colour reader. Now – hands up if you think Perfect Peter is a total wimpy smelly nappy-poo? Right, that’s all of you. But you’re in for a shock. Because in this story, Peter is fighting back. He wants that chair just as much as Henry. Only one brother can win this all-out war. Who’s your money on? Place your bets now.